For the sixth time, Karlovarské minerální vody organized its annual bartender contest, Mattoni Grand Drink. 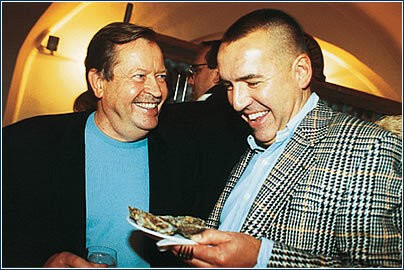 At the gala evening in Grandhotel Pupp, participants included not only skillful bartenders, but also a number of celebrities. 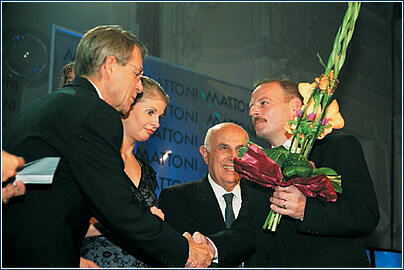 Jan Husák (left), general director of Karlovarské minerální vody, and president of the company Antonio Pasquale (middle), congratulate the winner, Ivan Masár. 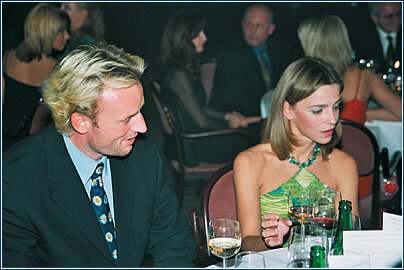 Tomáš Dvořák, decathlete and Olympic champion, with actress Lucie Zedníčková. 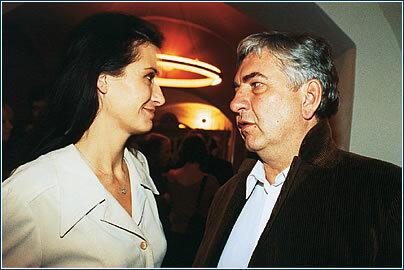 Architect Bořek Šípek with Romana Vítová, moderator at TV Prima. 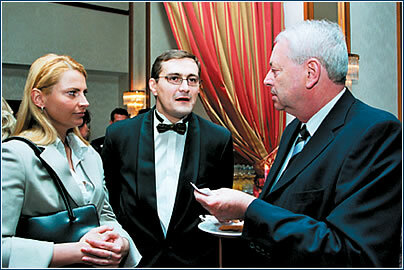 Former chief of ballet at the National Theater, Vlastimil Harapes, with last year’s vice-Miss Czech Andrea Fišerová. CzechInvest, the agency supporting foreign investment in the Czech Republic, celebrated its 10th anniversary at Štiřín castle. 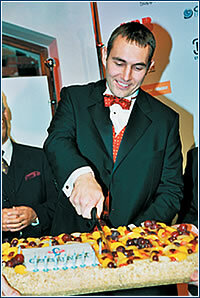 Many politicians and business partners came to offer congratulations. The cultural event of this autumn was certainly the Stomp performance. VIPs who attended the premiere went to wash down the excitement at a party in Square. 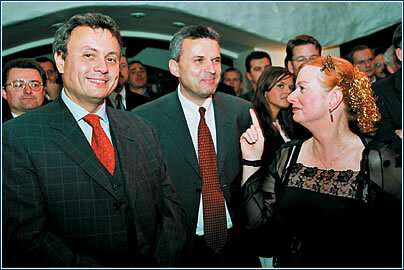 Martina Šmuková, president of Nadační fond Krtek, Kryštof Mucha (middle), VIP guest service, Film Festival Karlovy Vary and Jan Bubeník, managing partner, Bubeník Partners. 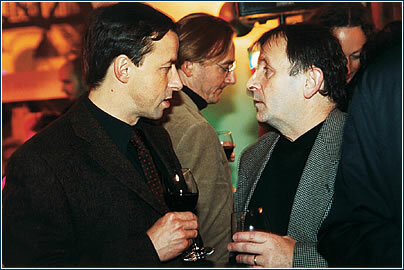 Mayor of Prague 6, Pavel Bém (left), and senator Michael Žantovský. Actor Miroslav Donutil with Michaela Maláčová, spokeswoman for ODS. 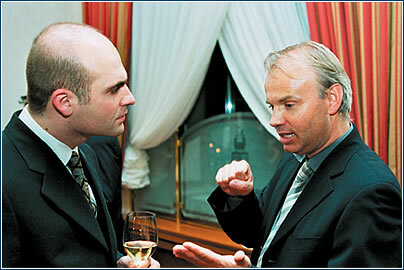 Bessel Kok (left), COO, Český Telecom, with Tomáš Šmíd, former tennis champion. For the fourth year in a row, the best projects in real estate were awarded. Among the recognized projects were Expo 58, BB Centrum, and Slovanský dům. The annual prize from the Association for Real Estate Development was handed to Radim Passer for his overall contribution. 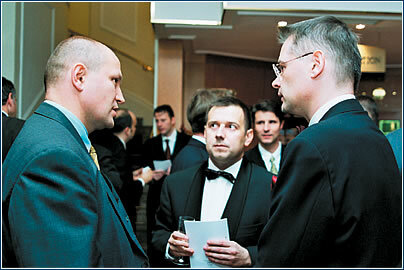 Hebert Neussner (left), partner, Euro Investment Banking, and František Vaculík, vice-chairman of the board at PSJ Invest.